Here’s a couple of tips should you decide to hire an octopus as your photographer. If it asks you to “watch the birdie,” be sure to know exactly which tentacle is holding it. Also, don’t let it charge you double for the shots where a tentacle got in front of the lens. An animal trainer at an aquarium in Aukland, New Zealand has trained an octopus named Rambo to photograph visitors to her tank. Considering the intelligence of these sea creatures, it may only be a matter of time before she raises her prices. For now, she charges $2. 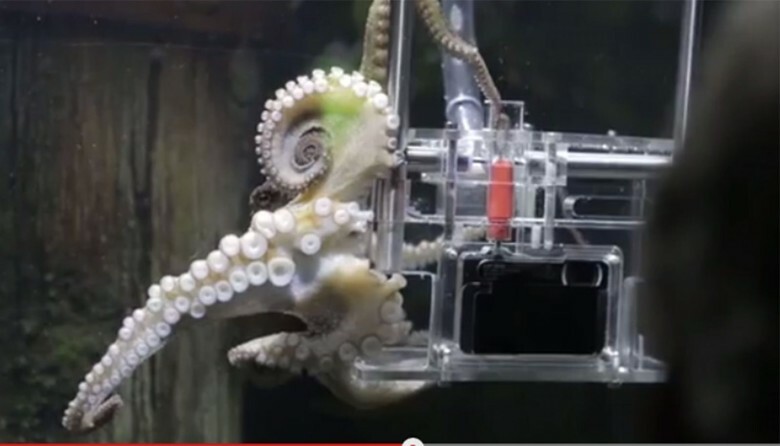 Rambo is not the first cephalopod to get behind the camera. 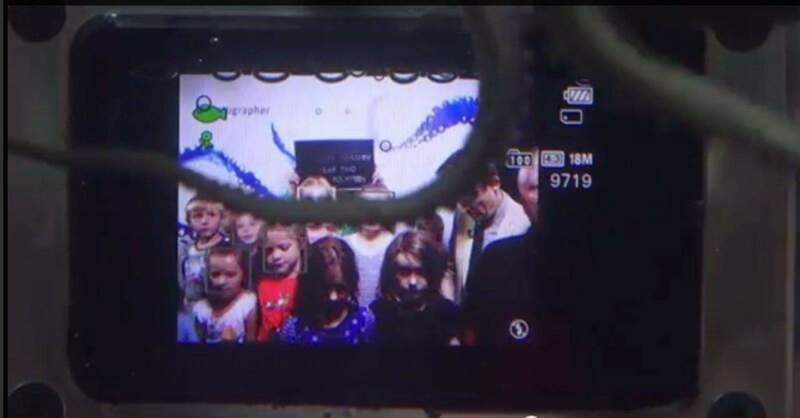 Last month, Cult of Mac reported the story of an octopus in the neuroscience lab at Middlebury College that turned a GoPro camera on the photographer after he place it in his tank. He then tried to eat the camera. Rambo is a less aggressive octographer to the visitors at Kelly Tarlton’s SEA LIFE Aquarium. She approaches a special rigging that holds a Sony TX30 camera, a shock and water resistant camera. Rambo works one of her tentacles towards a red plunger that is just above the camera’s shutter button. SEA LIFE keeps her on a light work schedule. The $2 donation goes toward’s the aquarium’s conservation programs. Sony teamed up with Vette and SEA LIFE to showcase the camera’s durability in the water and the high intelligence of Rambo.